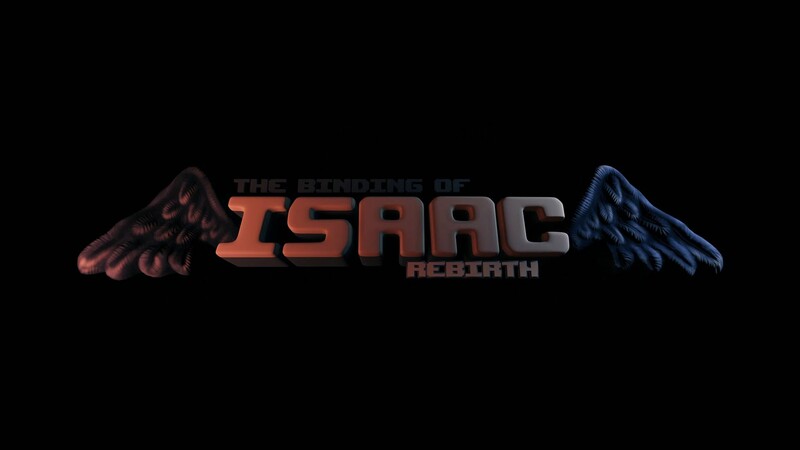 Yes, the Binding of Isaac: Rebirth is almost here! At the time of this writing on November 3rd, there are just 20 hours left until it unlocks on Steam. If you’ve already preordered the game, you can preload it on Steam now. There is also some good news for PlayStation fans, as the game is also coming to both PS4 and PS Vita tomorrow. Even better, PlayStation Plus members can get the game at no additional cost! If you own the original Binding of Isaac on Steam, you can preorder this remake for 30% off at $10.04 (which is down from the normal $14.99). With the preorder, you will also get a special hat for Team Fortress 2 as a bonus (The Brimstone Horns hat shown below). Humorously, another possible design for the bonus hat was the Skatole (a pile of poop on your head basically). Anyway, the soundtrack DLC is also currently 30% off at just $2. Remember though, you have less than a day left before the preorder period ends! The Brimstone Horns Hat for Team Fortress 2. If you’ve played the original game, then you probably remember how it all starts. Isaac hears God giving a decree to his mom, demanding a sacrifice to prove her faith. Not wanting to be sacrificed, Isaac flees to the basement, where he encounters countless deranged monsters, lost brothers and sisters, and his own fears, before eventually facing his own mother. 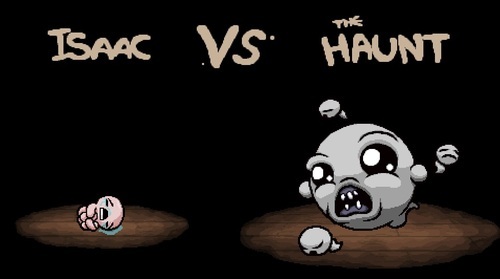 An item twists Isaac’s form into an unrecognizable abomination. 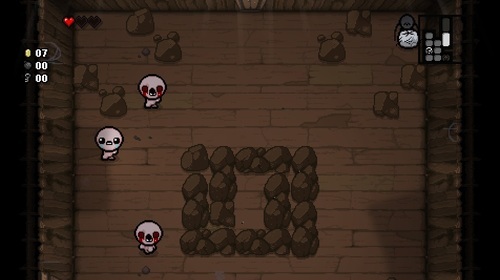 The Binding of Isaac: Rebirth‘s gameplay is very similar to the original, in that it is divided into a series of floors in the basement. 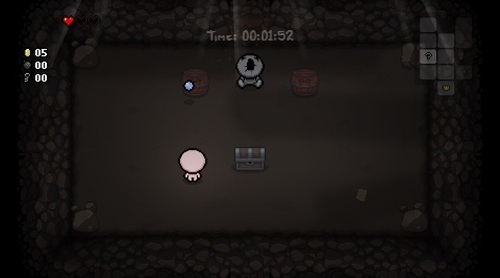 It seems Isaac’s house has one heck of a basement, or he has one heck of an imagination. Either way, each floor is divided into a bunch of rooms. 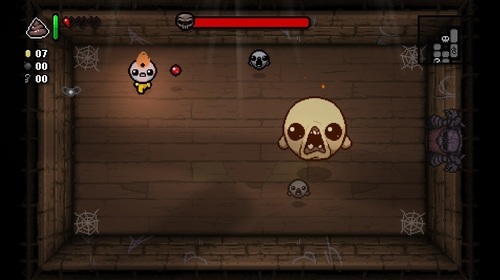 You can freely walk from room to room as you traverse the current floor of the basement, though sometimes you will get stuck in a room until you defeat a boss for example. The basic gameplay is reminiscent of the dungeons from the original Legend of Zelda game. It should be noted that the game has heavy roguelike elements as well. This may turn some people off, but you should really give this game a chance. Isaac’s twisted form stands alone in the dark. 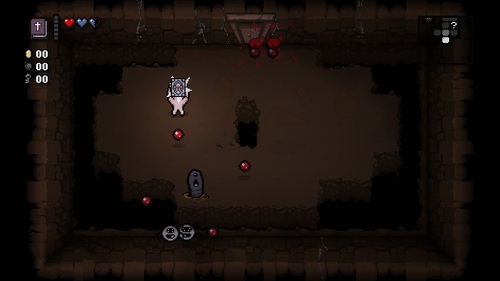 Isaac is haunted by the souls of lost siblings. Isaac battles the haunting specter. 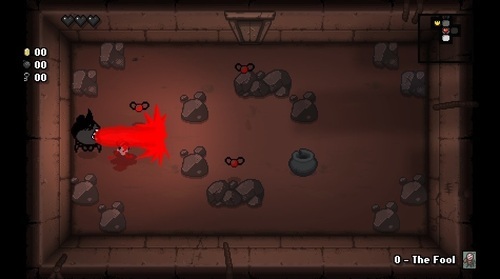 Having played the original Binding of Isaac and its expansion pack (The Wrath of the Lamb), I have been very much looking forward to The Binding of Isaac: Rebirth. With many new items, enemies, and bosses, there is just so much new stuff to discover and unlock. Some people may hate that it is a roguelike, but the game is amazingly fun. Starting over from the very beginning when you die can be quite frustrating in some cases, but this game overcomes that because it is so fun and there is so much to discover. The game is excellent for short bursts of play as well, for when you only have a little while to play or if you just like games that you can play in short bursts. You can find a lot of behind-the-scenes information on the game from its website, which is also a blog, and there is also a wiki. 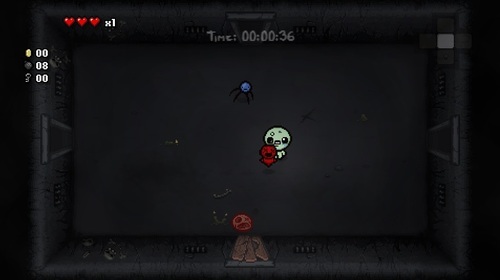 And lastly, below is the creepy, original The Binding of Isaac: Rebirth trailer.